I had a great time out at the Mesa Arizona Temple with Alexandria and Marcus. They were a really fun couple that obviously were in love. M & A were married in the morning then we all went over to the Landmark in Mesa for a luncheon and really funny performance by their friends and family. 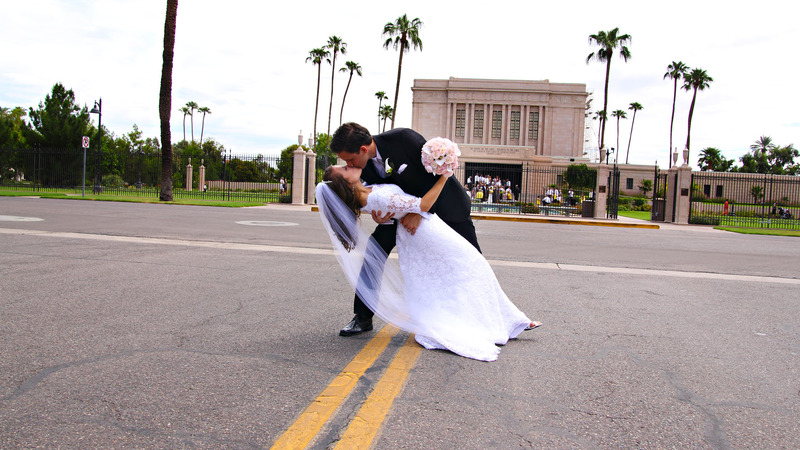 Later that evening they held their reception at the ASU LDS Institute. Then at the end of the evening they left their reception riding on their long boards. What a fun day.